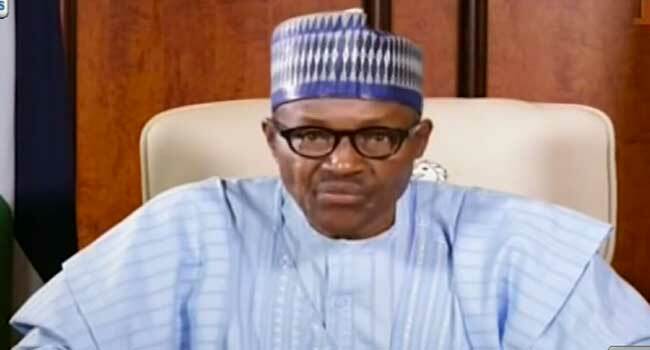 President Muhammadu Buhari has urged illegal migrants to stay back home, and find ways to improve their personal economies. According to him, rather than putting their lives at risk by daring the Sahara Desert and the Mediterranean Sea, they can work hard at home and be better off for themselves. He made this known on Tuesday, a statement by the Special Adviser to the President on Media and Publicity, Femi Adesina said. According to the statement, the President made the comments while receiving the Rwandan Minister of Foreign Affairs, Hon. Louise Mushikiwabo, who came as a Special Envoy of President Paul Kagame, to the State House, Abuja. President Buhari said Nigeria had taken it upon herself to bring back thousands of her citizens now stranded in Libya. “Illegal migration is now a major issue in Africa. Many dare the Sahara Desert and the Mediterranean Sea to get into Europe, and many die in the process. Or they get into trouble, as we now see in Libya. “I don’t envy our position, as many Blacks claim to be Nigerians, even when they are not. “Our Embassies in North Africa are now overworked, trying to identify the true Nigerians. Most of the reasons they mention for migrating illegally are untenable. “They should stay here, and see how they can improve their own economies, instead of risking their lives,” the President said. Speaking further, President Buhari assured President Kagame of Nigeria’s support in curbing security challenges across Africa especially as he (Kagame), is set to become the chairman of the African Union (AU). He also noted that Kagame, has the issues of South Sudan, separatist agitation in southern Cameroon, unrest in Togo, and many others on the continent, to contend with. “Gaddafi’s long rule produced many people, whose only skill is how to shoot guns. Now, they are scattered around the continent, still with their weapons, and fomenting trouble,” President Buhari said, adding that Nigeria was taking steps to curtail the development. Hon. Mushikiwabo said President Kagame looked forward to the counsel and support of the Nigerian President, as he assumes the AU chair from this month. “He will also need counsel on security issues in the Sahel, ongoing reforms in AU, borrow your expertise in agriculture, and renew friendship and kinship between our two countries,” Mushikiwabo said.